Killaloe Electoral Area Local Election Candidate Liam Wiley. 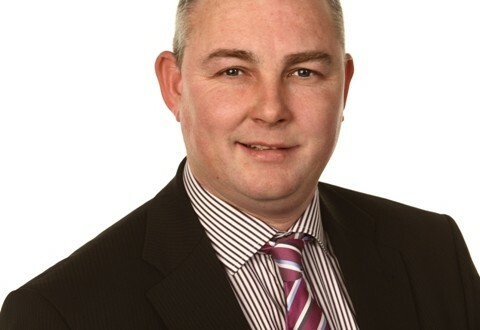 Killaloe local election candidate and Bodyke resident, Liam Wiley has reacted angrily to comments made by Clare Labour Party TD, Michael McNamara on the provision of rural broadband in County Clare. Reacting to comments made by Deputy McNamara last week, where he announced that Eircom exchanges in Feakle and Scariff would be upgraded in the next 12 to 18 months, Mr Wiley said it was “completely unacceptable” to leave the people of East Clare waiting 18 months. “I find it amazing that Deputy McNamara can say with a straight face that it will take as much as 18 months to upgrade the rural broadband network in County Clare. What are the people of Clare supposed to do in the meantime? They have to deal with extremely slow broadband and the best they can hope for is quicker download speeds in 2015? “This is completely unacceptable and reflects just how out of touch the Labour Party has become with the problems people are facing in rural Ireland,” he said. “Poor broadband speeds are a hindrance to businesses in terms of ordering, receiving and selling products over the internet. Schools need fast broadband to adequately teach the curriculum and visitors to Clare will be put off returning if they can’t access high-speed internet. The National Broadband Plan, published by the Minister for Communications, Pat Rabbitte, in 2012, promised to ensure that high-speed broadband was available to all citizens of this country. But it seems that Clare is being left far behind,” he said. He claimed that the Rural Broadband Scheme, which sought to provide a service to previously unconnected homes by the end of 2012, has not met its targets. He said he feared the National Broadband Plan was “heading down a similar route”. “There has been a 75% increase in internet usage across the country in the last year, due to the use of smart phones and tablets. This has led to a much greater demand for a quality broadband service. “If local businesses want to expand, they must have access to reliable broadband. Clare was already lagging behind other counties in relation to the broadband service before this plan was even announced, and I do not want to see the county ignored again. “To blandly say that it will take another year and a half to update the rural broadband service in Clare is not good enough,” he said. He has called for a report to be compiled on the progress that has been made on delivering quality broadband to all parts of County Clare, complete with a definite timeline as to when and where the service will be upgraded. This week, Eircom announced that it has brought high-speed broadband to 17,500 homes and businesses in County Clare, including Ennis, Shannon, Rockmount, Ballyalla, Ballymacahill Cross, Clarecastle, Whitepark, Cappahard and Shannon Airport. It said that by 2016, 70% of the country across 26 counties will have access to fibre broadband speeds of up to 100Mbs. The rollout continues until July 2016 and, according to Eircom, among the East Clare towns to be serviced as part of this phased roll-out are Feakle, Tulla, Scariff, Quin, Broadford, Sixmilebridge, Bunratty and Clonlara.